VBS0102: WW2 German 75mm Pak 40 Barrel (early version) Photo etch, turned brass and AL. 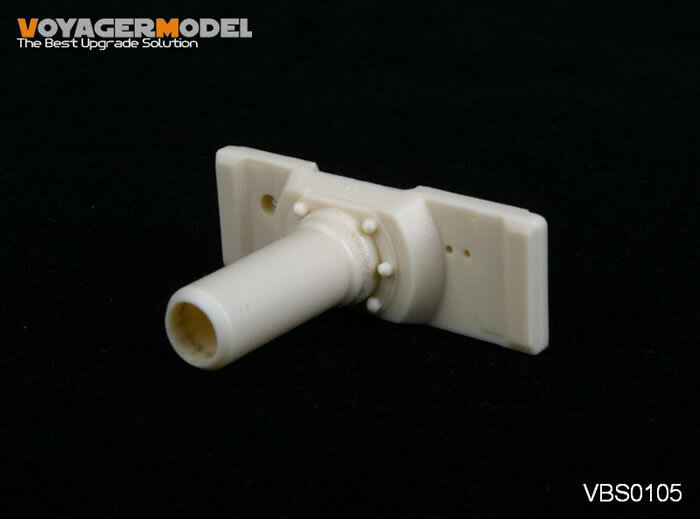 Voyager Models has added a few more updates to their ever growing range. I have grouped 6 of their latest photo-etch and turned brass barrel sets for this review. These 3 updates are essentially the same with the shape of the of the muzzle break being the only discernable difference. These sets consist of 1 turned aluminum barrel, a separate five piece turned brass muzzle break and a medium size etch fret that include the gun mount and cradle. A one page instruction sheet is included with a bonus of one “spent” ammunition shell. 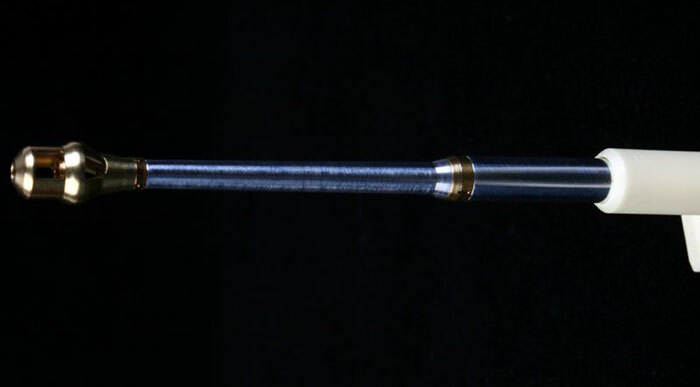 All of the brass and aluminum parts are very well done with the barrel itself showing a “rifling” effect. The muzzle brakes and barrel length and contours match well with all available drawings. The etch itself has clearly defined bend marks and again is very well done. I can easily recommend this set as it ticks all the right boxes (and then some) and are worth while updates. Resin cast mantlet and collar are note worthy, as they exhibit details not normally seen on any of the Tiger 1 barrels on the market today. Highlights include an extremely good fit of the barrel to the collar, weld beads around the collar and drain holes and cast marks on the mantlet itself. The overall presentation, fit of parts and casting make this the best overall early Tiger 1 barrel package on the market today. This barrel and breach upgrade is intended for either the Dragon or Trumpter kits of the 18 L 30 German Gun. The set includes 1 turned aluminum barrel with rifling and a resin gun breach. The barrel contours and length match well with all available drawings and the gun breach is cleanly cast. The only negative with this set, is the rifling in the barrel as it looks a little excessive, but will probably disappear with a coat of paint.